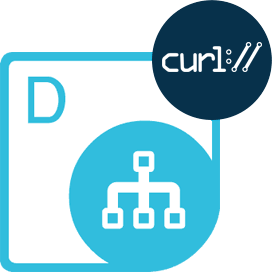 Get the features to Generate, Edit, Manipulate & Transform Microsoft Visio diagrams to XPS, HTML, SVG, SWF, XAML, Images & PDF. 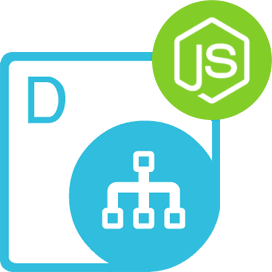 Aspose.Diagram Cloud SDK for Node.js is an easy-to-use, high-performance and well-documented Cloud SDK empowering the developers to create, manipulate & convert native Visio file formats in Node.js applications. The manipulation operations can be performed without using Microsoft Visio installed on system. 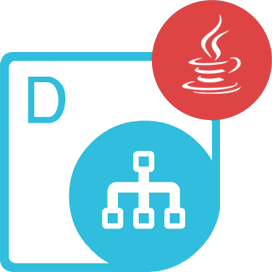 The architecture of SDK is extensible, easy to use, compact and provides all primary functionalities, and developers can perform all common tasks with fewer code lines. If you do not want to use any of our SDKs or the required SDK is not available at the moment, you can still easily get started with Aspose.Diagram REST API while using your favorite language & platform. 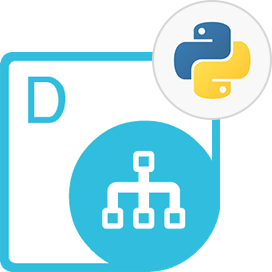 Aspose.Diagram Cloud SDK for Node.js - is compatible with all Node.js applications on all major platforms..
Aspose.Diagram Cloud SDK for Node.js - supports popular Visio file formats. Read multiple Visio formats & specify fonts location. No software download required and nothing to install. It is easy to get started. Simply create an account at Aspose for Cloud and get your application information. Once you have the App SID & Key, you are ready to give a try to Aspose.Diagram Cloud SDK for Node.js. 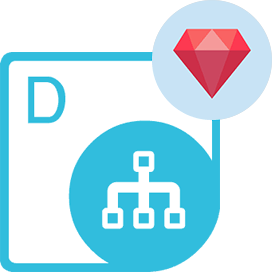 The SDK enables the developers to create diagrams from scratch, work with individual element of the diagram and export the result to other Visio formats, images or fixed-layout formats i.e. PDF, PDF/A. Aspose.Diagram Cloud SDK for Node.js is capable of reading Microsoft Visio files in native VSD/VSDX format as well as other popular Visio formats including VSS, VST, VSX, VTX, VDW, VDX, VSSX, VSTX, VSDM, VSSM and VSTM. The contents of the diagram can be manipulated through the Aspose.Diagram Cloud SDK for Node.js. After making the required changes to the Visio file, the file can then be saved in supported formats. In a collaborative work environment, the Visio Diagrams are shared on regular basis and in order to view these files, one needs to install Microsoft Visio or other tool that could load Visio specific file formats. Other approaches include the conversion of Visio diagrams to universal formats such as PDF, HTML & raster images, which do not require special programs to be installed on the machine. Therefore in order to accomplish such requirements, Aspose.Diagram Cloud SDK for Node.js offers its own conversion engine, which works independently of any other software, and can convert any supported Visio file format to any of the supported format with just a few lines of code. The conversion process is quick yet reliable, offering you the high fidelity results regardless of the resultant file format. Aspose.Diagram Cloud SDK for Node.js offers the features to easily read the data of the Visio diagram like Document Properties, Pages, Masters, Shapes, Images, Connects, Solution XML, Comments, Hyperlinks, StyleSheet, Layers, User-defined cells and so on. Once these objects are manipulated through Aspose.Diagram Cloud SDK for Node.js, the result can be saved in any of the supported format. when using Aspose.Diagram Cloud SDK for Node.js, you can open Visio files and render them to popular image formats including BMP, JPEG, PNG, TIFF, SVG and EMF. The SDK also provides the ability to export the Visio files to fixed layout file formats like PDF, PDF/A with high fidelity. Normally, developers add shapes in a container to keep things well organized and understandable. The containers add a visual boundary around shapes, including a label. To add a container and sub shapes to the diagram, developers can use Aspose.Diagram Cloud SDK for Node.js because it gives an easy and quick approach..
Why Aspose.Diagram Cloud SDK for Node.js ?